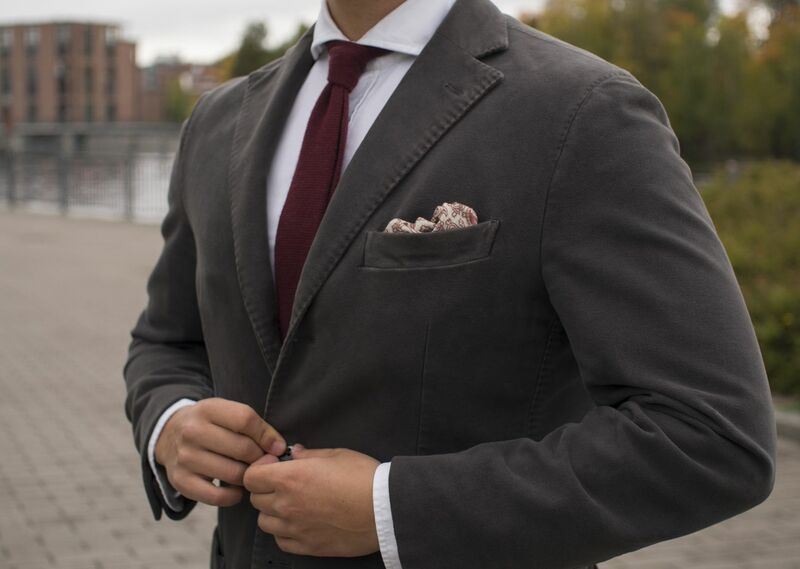 More fall smart casual. This time in a dark green LBM 1911 moleskin jacket and wool accessories, all from Berg & Berg in this case. The jacket is from LBM 1911 (fit 2801), shirt oxford cotton and from SuitSupply, knit tie with a pointy end wool and from Berg & Berg, pocket square wool flannel and from Berg & Berg, belt from Equus Leather, raw denim from Indigofera, wool melange socks from Berg & Berg and Scotch grain double monks from Meermin. One of my favorite and my most used jacket I got last fall, this LBM 1911 moleskin fabric jacket makes a great companion for jeans such as the pair I'm wearing here. 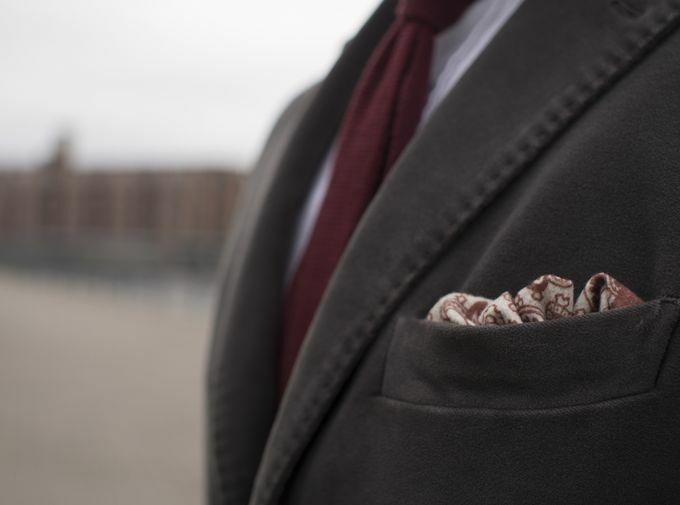 Wool flannel pocket square from Berg & Berg's last year's winter collection. 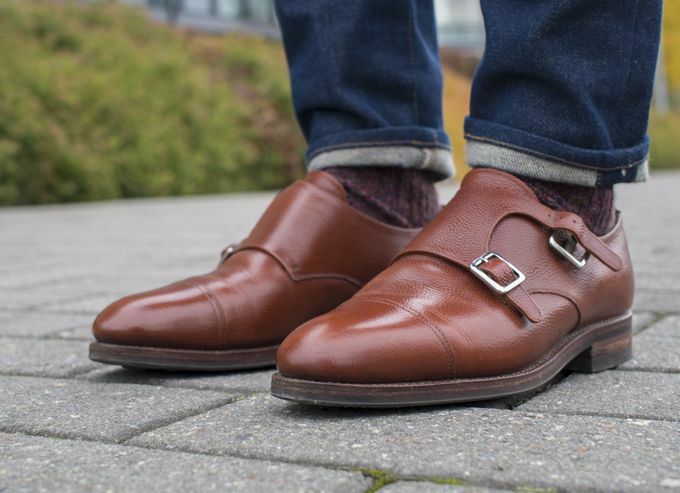 Meermin Scotch grain double monks on a Dainite type sole.